In the fourth quarter of 2018, Saqr Port, part of the RAK PORTS GROUP, ordered three Model 8 mobile harbour cranes. Two Konecranes Gottwald cranes will be delivered in April 2019, a third one to follow in July 2019. Situated in Ras Al Khaimah, Saqr Port is the major bulk terminal in the Middle East and an essential pillar of the Emirate’s economy. The two new eco-efficient diesel-electric cranes, additions to the existing fleet of eleven Konecranes Gottwald mobile harbour cranes, will handle inbound and outbound bulk material including coal, limestone and clinker. The three Model 8 mobile harbour cranes for Saqr Port are four-rope G HMK 8410 B cranes with a powerful 63-t grab curve in combination with the highest operating speed on the market, resulting in the highest handling rates. For particularly eco-efficient use, the cranes will be prepared to be hooked up to the terminal’s grid. Konecranes is a world-leading group of Lifting Businesses™, serving a broad range of customers, including manufacturing and process industries, shipyards, ports and terminals. 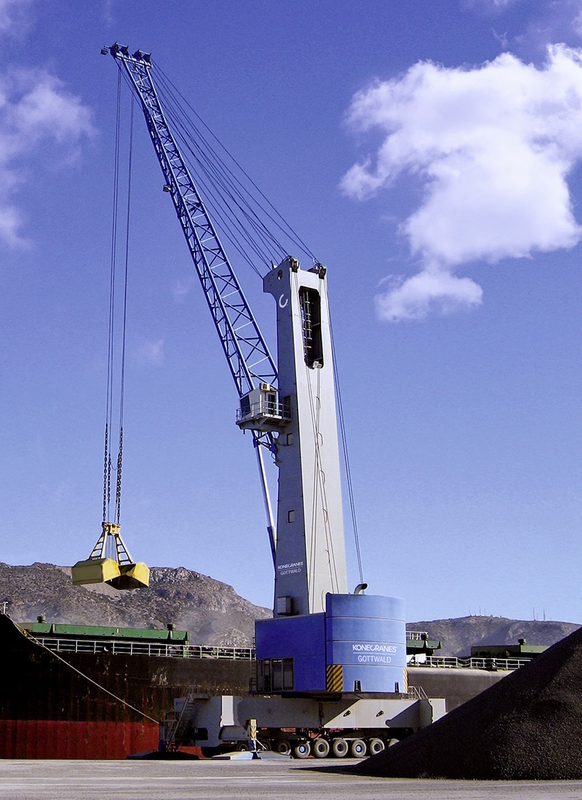 Konecranes provides productivity enhancing lifting solutions as well as services for lifting equipment of all makes. In 2017, Group sales totalled EUR 3,136 million. The Group has over 16,000 employees at 600 locations in 50 countries. Konecranes shares are listed on the Nasdaq Helsinki (symbol: KCR).